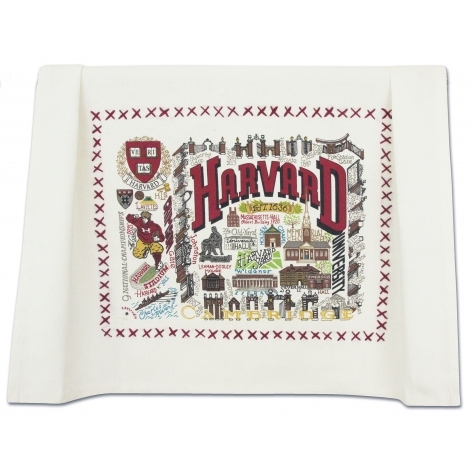 This beautiful Tea/Dish/Hand/Bar/Guest Towel includes the most iconic symbols and scenes of Harvard University. The fabric is hand woven, screened with 12 colors and framed with hand cross-stitch embroidery. Towels are wrapped in a special reusable organdy pouch. 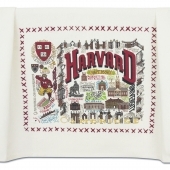 A perfect hostess gift for any Harvard fan!